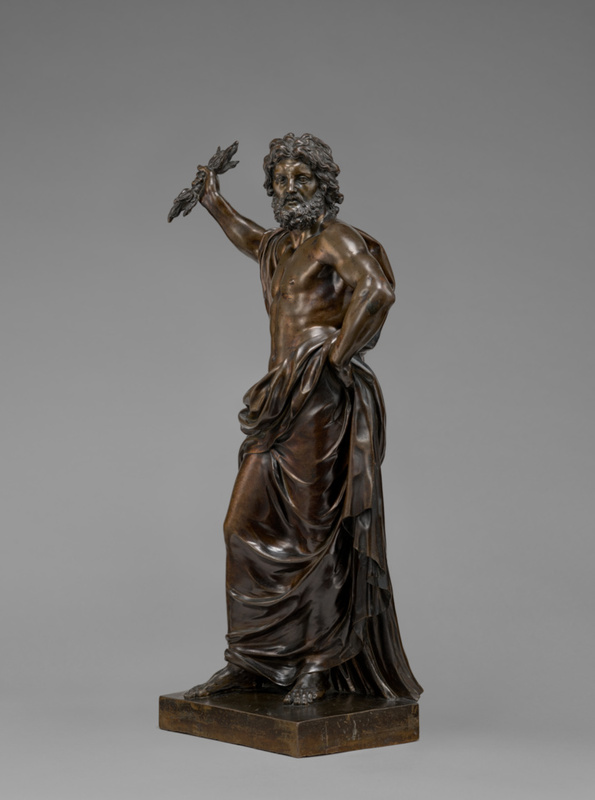 As if in response to a threat, Jupiter, the ruler of the pantheon of Roman gods, turns his muscular body and stands poised to hurl his thunderbolts. 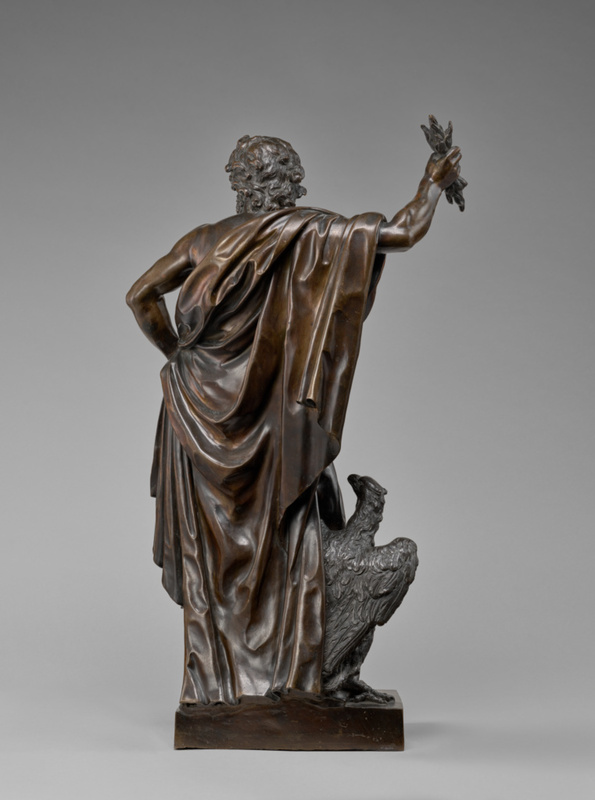 Accompanied only by his sacred bird the eagle and loosely covered only by a voluminous sheath, Jupiter focuses his eyes on the distance, lending a rare psychological tension to this unusually large bronze. 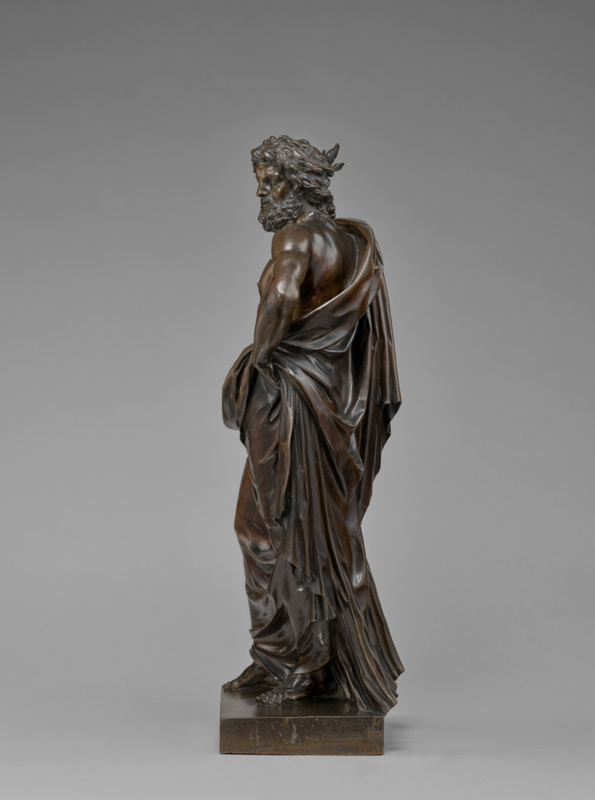 Inspired by a famous ancient marble sculpture of Jupiter formerly in the Giustiniani Palace in Rome, the artist, possibly Jean Raon, retained the classical contrapposto pose: a relaxed but mobile body with opposed limbs. 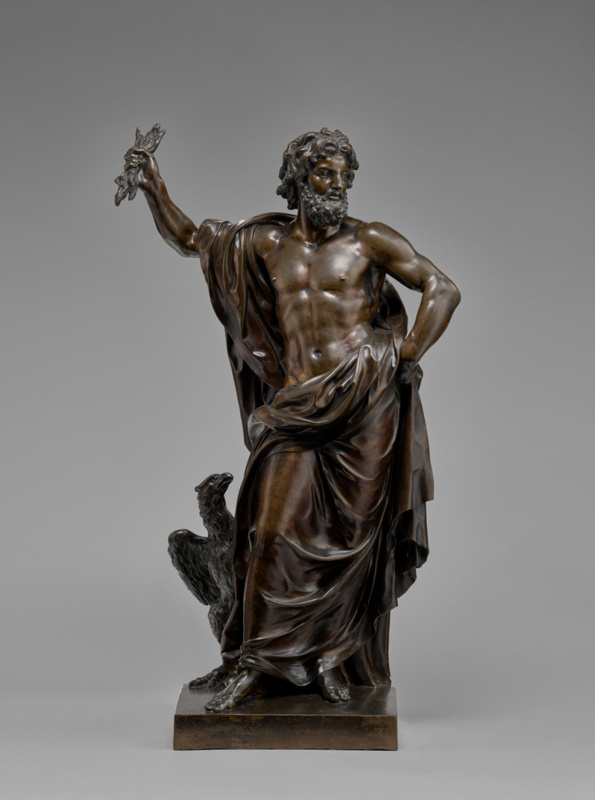 Jupiter raises his right arm and holds the left akimbo and stands with one leg forward and one back. 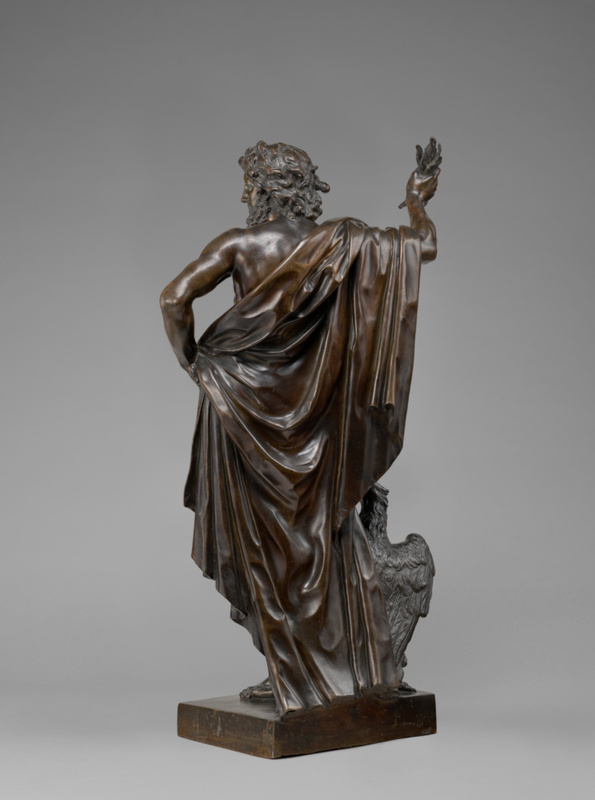 Departing from his model, the artist emphasized the god's elegance and idealized anatomy. 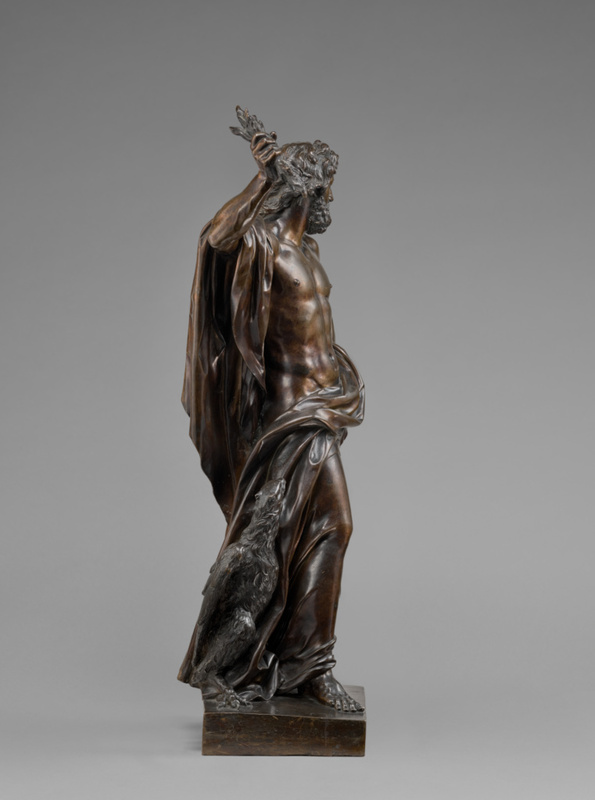 The bronze's glossy patina allows the light to play gently over the figure's cascading drapery and the smoothly defined muscles of his chest and arms. 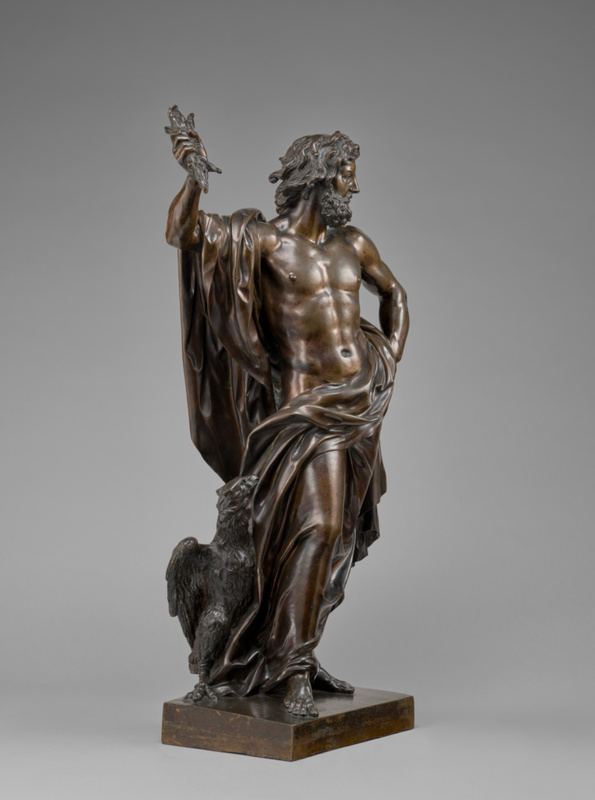 Although the model was made about 1670, the sculpture was not cast in bronze until about 1680 to 1700. 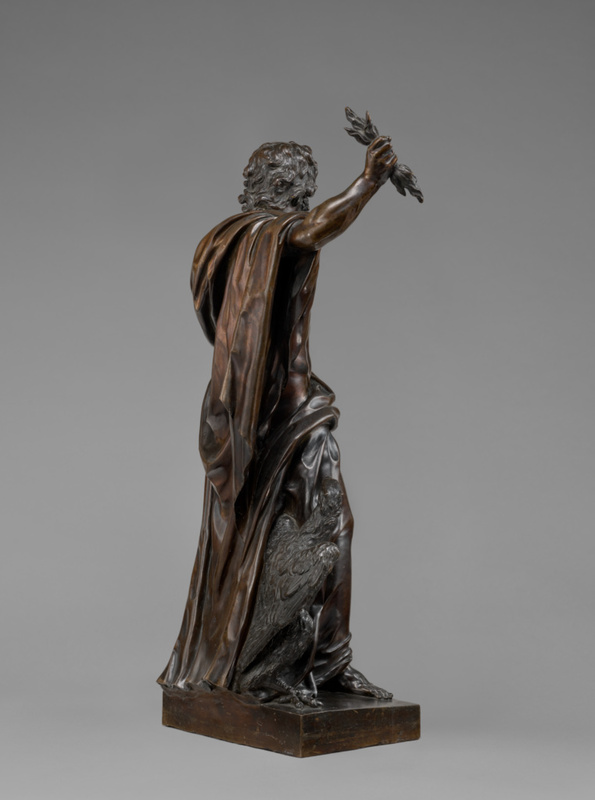 Its classicizing style links the work with sculpture made by French Academy artists for French royal residences such as Versailles.